Whether simple or complex, whatever your application or environment, RR Donnelley offers smart label technology that revolutionizes performance for the deep real-time insights into your business you need to be successful. 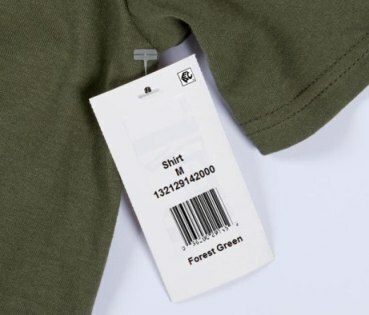 Stock tags and labels with this cutting-edge technology are more environmentally-friendly than traditional RFID because our antennas aren't chemically etched. We put the antennas and chips directly onto the labels eliminating plastic inlay substrates and caustic chemicals. RFID Thermal Transfer Printer Label, 4" x 2"
RFID Thermal Transfer Printer Label, 4" x 6"